A complete line of worksurfaces and cabinets to suit any application from economical light duty to heavy acid and solvent use. 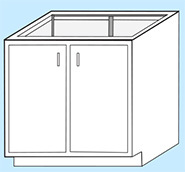 Select the worksurfaces and cabinets that meet your laboratory's requirements. Standard sizes are listed below. HEMCO's technical staff can make recommendations to suit your specific needs. Epoxy Resin Worksurfaces are recommended for general laboratory work where greater chemical resistance is required. Surface is dished 3/8" to contain spillage. 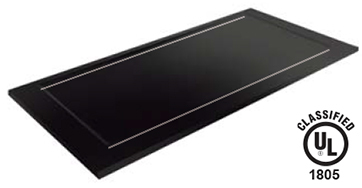 Worksurface is cast of thermosetting epoxy resin, creating a molded solid 1-1/4" thick top which is extremely hard, abrasion and heat resistant. 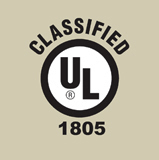 Tested to UL 1805 classification. Size Cat. No. Size Cat. No. 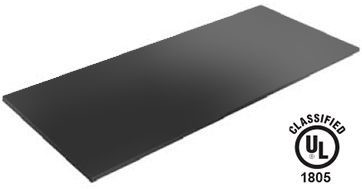 (UniFlow SE, LE hoods only) Phenolic Resin, color: black, 1-1/4" thick, dished 1/4"
dished 1/4".Tested to UL 1805 classification. 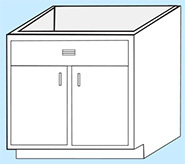 Stainless Steel Fume Hood Worksurfaces are fabricated of type 304,16 gauge steel with #3 satin finish. Surface is dished 3/8” to contain spillage. 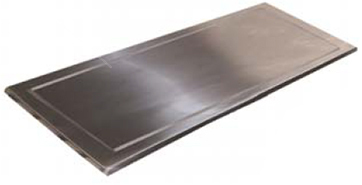 All corners, ends, and joints are continuous 1-1/4” heliarc welded and ground smooth. Type 316 stainless steel is also available. (Color: White unless otherwise specified) When ordering specify size requirements. Standard color: white Interior is lined with one piece acid resistant white composite resin liner and all coved corners, for superior corrosion resistance, with vents and fixed shelf. Standard depth is 22", standard height is 36". 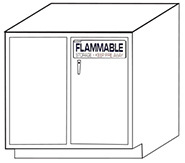 Provides safe storage of flammables. Color: silver beige. Constructed of welded double wall furniture grade steel. Cabinet has an adjustable shelf and locking hinged doors. Meets NFPA codes. Standard depth is 22", standard height is 36". Constructed of furniture grade steel. Cabinet has hinged doors and levelers. Standard depth is 22", standard height is 36". Heavy duty, all welded 2” square tube steel construction. Standard depth is 22”. Each leg has levelers with fitted black boots. Available in, standard 36” bench height, & 28” sitting height.